NaThis section is about everything from how you get in touch with us and when we complete your project. It is an easy 8-step process. Measure the windows/doors from inside (width and height including the frame). 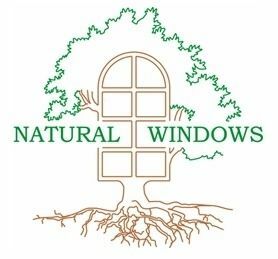 Send us email at info@naturalwindows.com or give a ring on 0208 9938 274. State what type of the wooden doors and windows you need (sash, casement, tilt and turn for wooden replacement windows and French, entry, sliding or folding for wooden doors), whether you want them to be painted or varnished, or both (painted from one side, varnished from the other side), whether you require softwood or hardwood, and how many openings a window should have. Give us a ring on 0208 9938 274 to arrange an appointment with our qualified surveyor. His visit will be free of charge and it is a great opportunity to discuss your needs, ask any questions, and see a short demonstration of our timber windows and doors. Our technical engineer will review your enquiry. If we need additional information to better understand your needs, we will contact you for clarification. It is very helpful if you leave your contact number when you make an enquiry by email or over the phone. Within a few days you will receive a quotation for your timber doors and windows straight to your mailbox. We can also send it by post if you prefer to have a hard copy. You will review the quotation, prepare questions (if you have any), and our dedicated sales representative will give you a ring or send you email, or you can simply call us straight away on 0208 9938 274 to get an immediate response to all your questions about our wooden windows or doors. I Like Your Product and Price. What is Next? If you made your initial enquiry by email or over the phone, our surveyor will need to come to take the measurements of your windows/doors. Then we will send you an updated quotation. Normally, the price does not differ significantly from the initial quotation if you have measured the windows/doors in the right way (take the measurements including the frame). You can compare different quotations from several suppliers. We suggest to check the price, guarantee terms and conditions, lead time, the product qualities (micro-porous finish, engineered wood, U value, etc.). Give yourself enough time to think and analyze all key factors. I Would Like to Place the Order. Once you decide to go ahead with the order, we will send you a contract. Once the contract is signed, your order will be placed on the manufacture system and we will start producing your wooden doors and windows. How Long Do I Need to Wait for My Wooden Replacement Windows to Be Produced? Normally it takes around 7-8 weeks. You can read more about how your wooden windows and doors will be produced in Production. What Will Happen During the Installation? Before we start removing the old windows/doors, we will cover all working area with a protective screen, so you do not need to worry about your carpet and furniture. Once we replace the old windows/doors with the new timber windows and doors, we fix them permanently the same day and seal gaps with an expanding foam. A decoration is normally carried out on the following day. Our installation services are bespoke and the amount of work varies from project to project. This information is just a basic guideline. What Will Happen After the Installation? Your installation will be registered and we will issue our company guarantee for your project, which is our great 10-year after-sales service. As we value our customers and are always happy to help, we continue communicating with you even after your project has been completed. You are always welcome to give us a ring if you have any questions either about maintenance or any general issue. We will also occasionally get in touch with you just to say hello or drop you email to keep you updated about our services and our timber windows and doors.